Bosingwa out for three months. Chance for Ferreira? "Chelsea Football Club can confirm that Jose Bosingwa underwent arthroscopic surgery on his left knee this week. His recovery time will be approximately three months". Of course its a blow for Bosingwa and for Ancelotti. If this was last season and this happened it would of been a massive blow, but this season the effect will not effect us as much and thats because Paulo is back! I have said previously about Ferriera on here and in my opinion he should be given the regular start in the side. 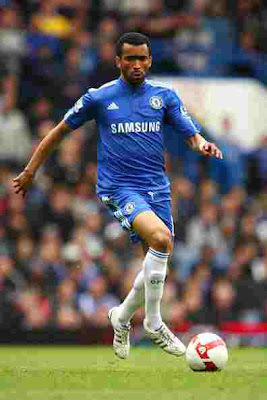 With both Cole and Bosingwa out injured no doubt Carlo will be looking at Paulo coming in at left-back and Ivanovic or Belletti starting at right back. At the moment it seems as though Ivanovic will be first choice but Ferreira now has an opportunity to make his claim for his place back in the side in his favoured position and to be back in the starting 11, something that I will never understand as to why he was dropped by Jose Mourinho in the first place. 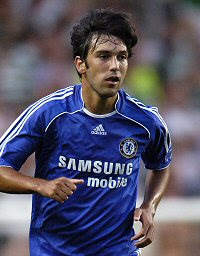 Ferreira was a mainstay in the side that won back to back Premier League trophies 2004/2005 & 2005/2006. He was first choice and made the position his own to Glen Johnson's frustration. Four of the back five was set in stone with Cech, Ferreira, Carvalho and Terry and then a toss up for left back. Ferreira was solid like the rest of them. A regular in the Portugal side (ok at left back, but still a regular) and starring week in week out up and down that right hand side for Chelsea. Somewhere along the line, Jose lost faith and he has never been the same since. Last season he would of had more of a chance in the side but his long-term injury was a setback. So now he is fit, ready to play and given the chance I believe he will make the position his own. Don't get me wrong, Ivanovic has been solid at right back and will go down in history as fans-favourite after his two-goals at Anfield last season. Ivanovic will more than likely have the start in the remaining Champions League group games after Ferriera wasn't named for the group stages. With the way that Ancelotti plays, with the four-diamond-two formation he requires the two full backs to push on and get down the wing. Ivanovic has done quite well taking on that role but it comes more natural to Ferreira. He is solid at the back too and I really really feel that he can make the position his own. I know for the time being (or until Ash is back) he will more than likely feature in the side at left back. But this is his chance to prove his fitness and quality to Ancelotti and Ferriera HAS to take it!